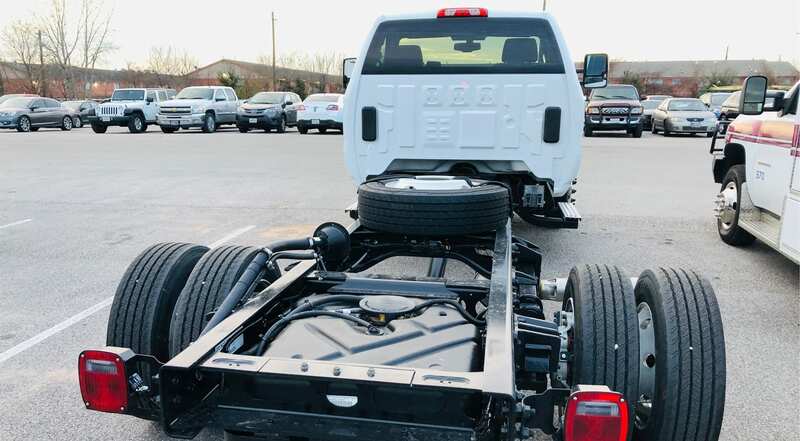 The 2019 Chevy Silverado 4500HD Chassis Cab is here! - Frazer, Ltd. 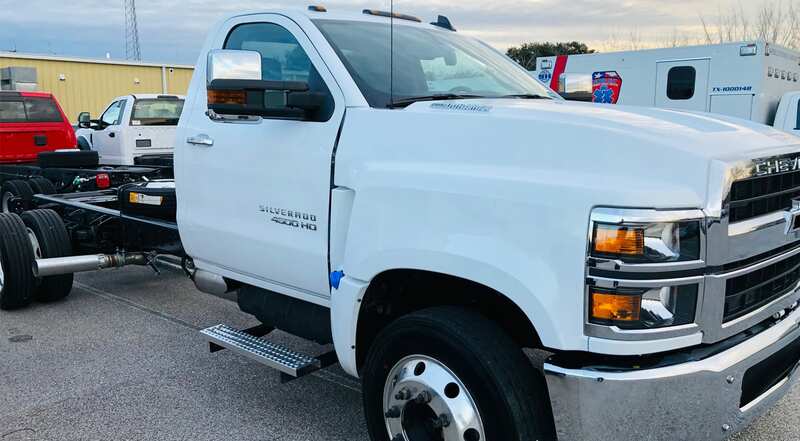 The 2019 Chevy Silverado 4500HD Chassis Cab is here! 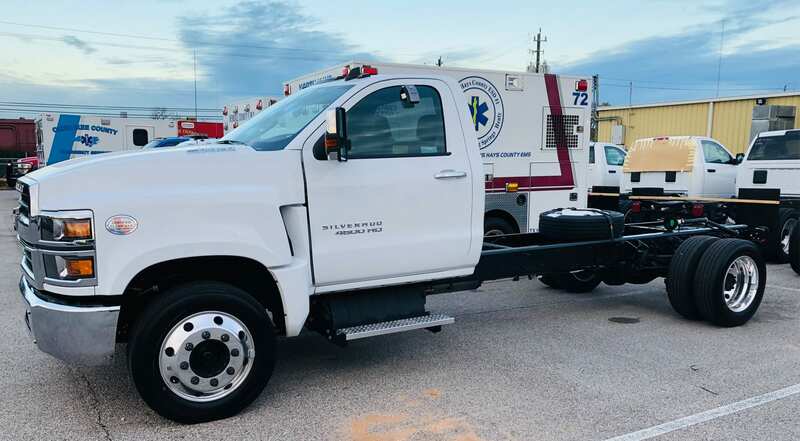 The new 2019 Chevy Silverado 4500HD Chassis Cab for emergency vehicles is in the Frazer parking lot! 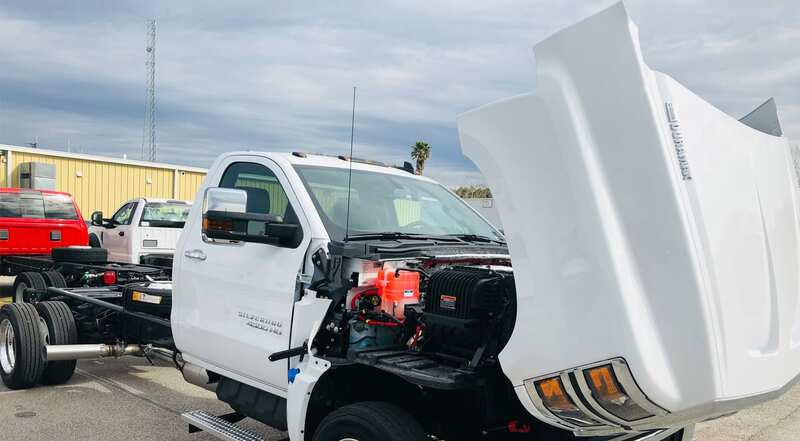 It’s our first medium-duty truck chassis from their 4500, 5500, 6500 HD Series. GM has collaborated with Navistar for the new truck series which incorporates GM’s popular powertrain to expand the Silverado line. We snapped a few pictures to show you! 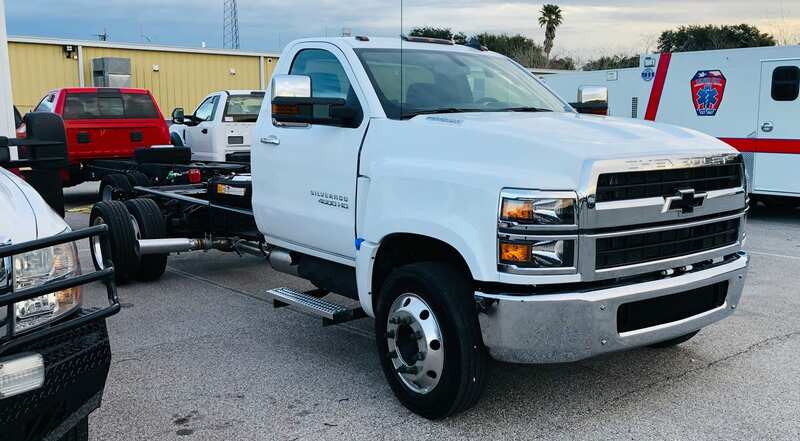 If you want a Chevy Silverado 4500HD, 5500HD, or 6500HD Chassis Cab, get your order started! 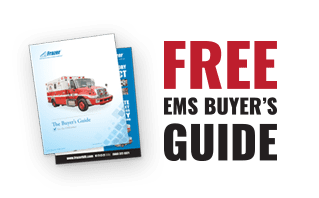 Wondering What Other Chassis Options for Emergency Vehicles You Have in 2019? 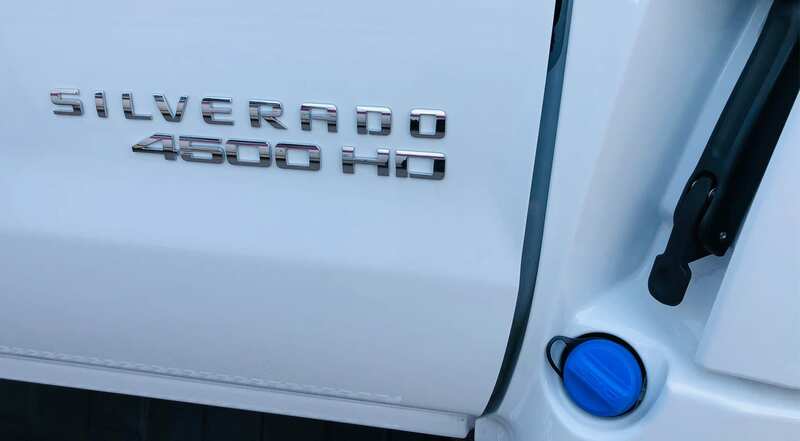 There are new designs from RAM and a gas Ford F-450 and F-550 option. 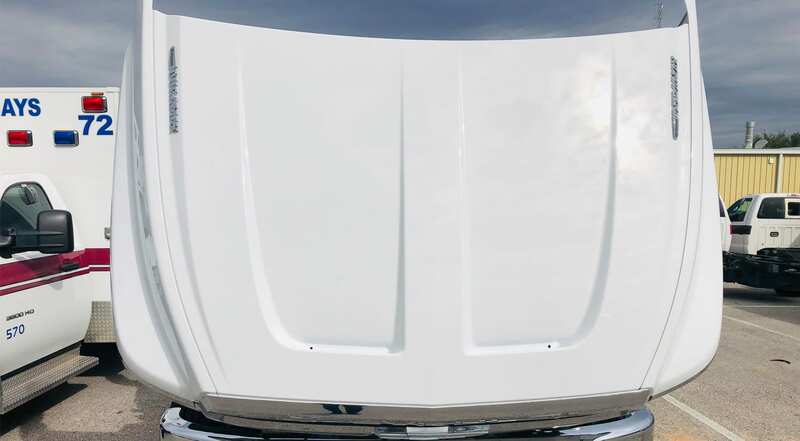 Want to see what chassis everyone else is choosing and how their Frazer EMS Vehicle turned out? 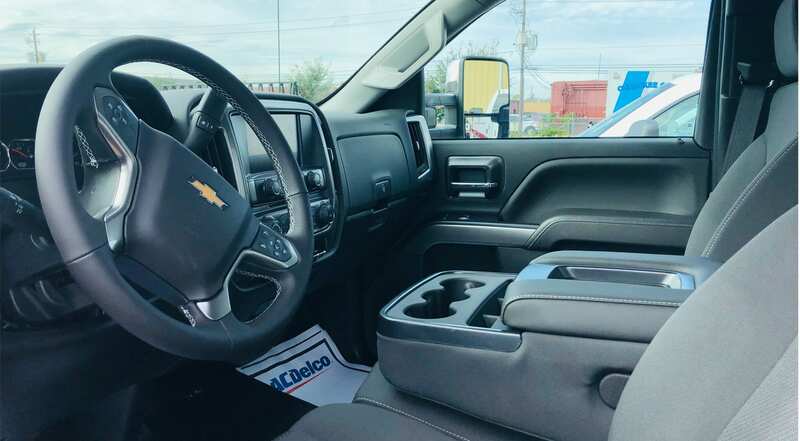 Cruise through our Customer Deliveries Gallery and take a virtual tour! 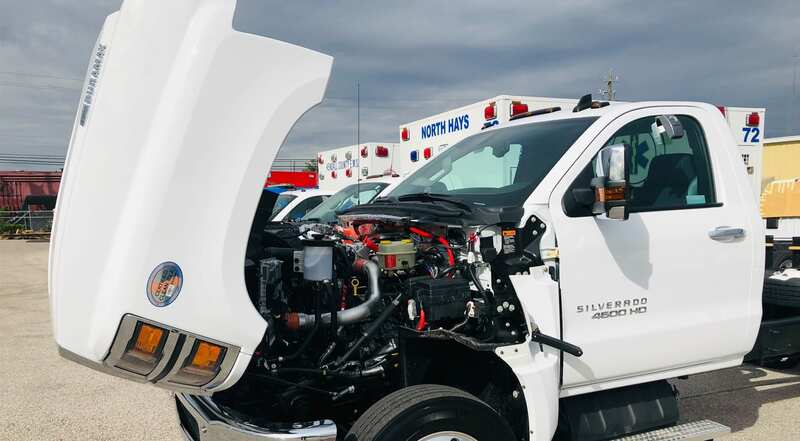 Frazer has been building custom EMS vehicles suitable for licensing and use as Mobile Stroke Units, Mobile Clinics, and Ambulances since 1985.